When one thinks of a Euro-trip, Austria doesn’t seem to top the list, but it isn’t far behind too. The result? The places I visited weren’t as crowded with tourists as the other common European destinations, yet were lively enough. 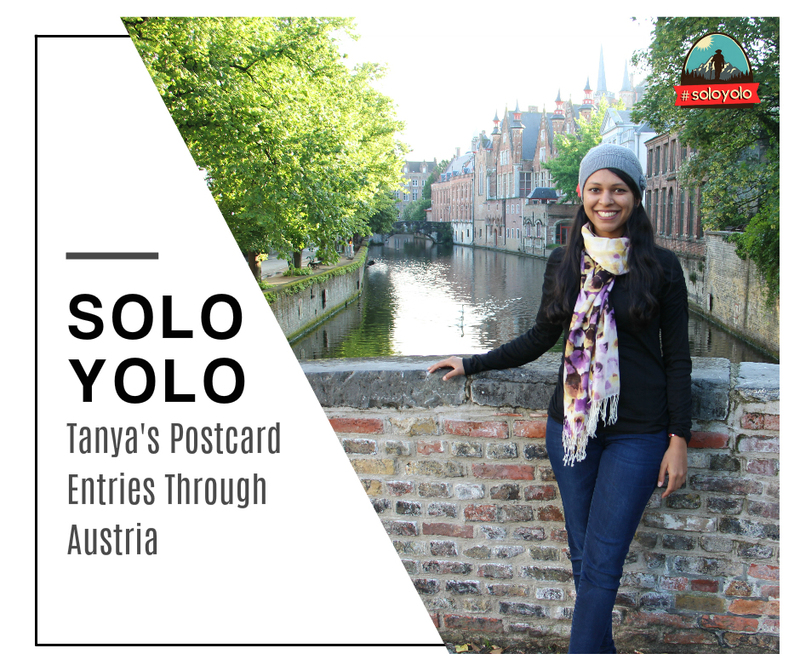 Tanya on her Solo Yolo Holiday through Austria! Interesting things to do in Austria! ☀ The capital city of Austria - Vienna! 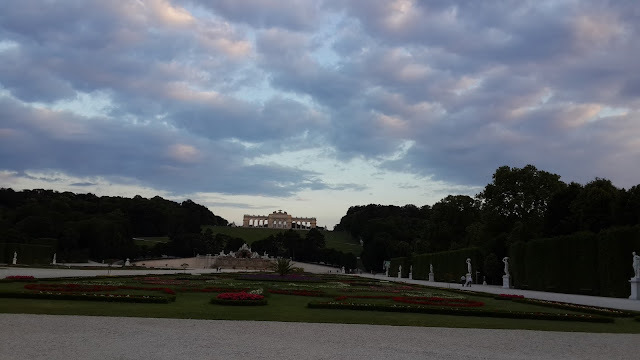 Vienna is a beautiful place like all other European cities. Although Vienna is a busy commercial city (and understandably so, being the capital), it has an old European charm to it. It has a huge city center which you can spend hours strolling in. Once you’ve got a feel of the place, you can head to Schönbrunn Palace, a magnificent palace and one of the most important monuments of Austria. There is Madame Tussaud’s museum as well in Vienna that you can visit. ☀ Bratislava - a day trip from Vienna! The best part about a Schengen visa is that you can step foot in two countries in a single day without the hassle of obtaining a separate visa for a day trip! Bratislava, the capital of Slovakia, is one such place that is perfect for a day trip from Vienna. Although it has that same quaint city like feel as most of the European cities, one can’t help but feel like having gone back in time. You’ll see life-size human figures made of brass randomly placed throughout the city center which is fun to look at! There are short bus tours which you can take from the city center itself, that’ll take you around the city. I’m talking about Salzburg, of course! Situated in the Bavarian Alps, Salzburg is famous for producing a musical genius whom we all know as Mozart. There is a lot that you can do here so ensure that you allot sufficient time to this beautiful city. 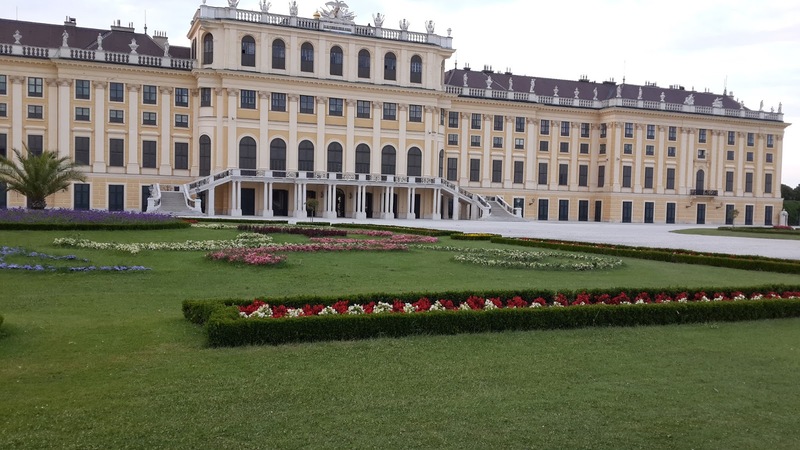 If you're looking for a holiday to explore Austria, here is a perfect package for 9 nights from our tour operator "The Blueberry Trails", covering cities like Berlin, Prague, Vienna, Budapest. “The hills are alive with the sound of music…”. This cannot ring truer than when you are in Salzburg, where a part of this iconic movie was shot. You must take The Sound of Music tour which will take you on a musical journey, quite literally. You can also see the pavilion where the song ‘Sixteen going on seventeen’ was shot! It’s a different feeling when you’re in the bus riding through the Alps and singing all the songs from The Sound of Music. Considering that Salzburg is the birthplace of Mozart, a visit to his birth-house, ‘Mozart’s Geburtshaus’ is a must. It has been converted into a museum which has everything about his life on display. One can also see the original music sheets written by Mozart on display! Apart from the interesting information, you can pick up a ‘musical’ souvenir from his birth-house too! Having learnt all there is to learn about Mozart, you can then head to a concert in the evening at the Hohensalzburg Castle, completely dedicated to Mozart. 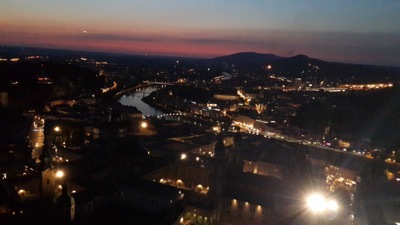 It will not just be soothing to your ears, but also your eyes as you get a stunning view of the entire city of Salzburg! These picturesque mountains are a sight to behold! A tour through these mountains is a great way to explore the famous Alps. You can find ‘The Bavarian Alps’ tour being organized from Salzburg, which will take you through many places including Königsee, a village by the Königsee lake. You can also see Hitler’s mountain retreat. I was lucky to have a tour guide who was well versed with the not-so-popular places on the route and gave us an interesting history lesson. On the way, one can also stop at the Salt Mines which provide a glimpse into the lives of many mine workers that have worked in extremely cold temperatures in the underground mines. If you’re craving Indian food, I would highly recommend Taj Mahal restaurant in Salzburg (located at Bayerhamerstraße 13). The food served there is truly authentic. In fact, I thought it to be better than most of the places in India, so you can imagine the quality that that place has maintained. covering cities like Rome, Pisa, Padova, Innsbruck, Switzerland, Paris, Amsterdam and London!! Innsbrück is a short train ride away from Salzburg and another typical yet beautiful city. The Swarovski Crystal World is a popular attraction. There you will find everything made out of Swarovski stones, from animal and human figures to models of monuments including the Taj Mahal. It’s interesting what one can do with crystal glass! A few things peculiar to these places: while ordering food, especially at an Indian restaurant, do remember that any dish you order always comes with a portion of rice. So for example, if you order one daal and one vegetable, you’ll get two portions of rice, so order breads accordingly. Also, you may not need to buy tickets for your local transport (such as trams) if you’ve travelled via inter-city trains (whose ticket may be valid for 24 hours on certain local transport). So make sure to ask at the information desk about the validity of your ticket before you purchase another one so you can save on your travel expenses!